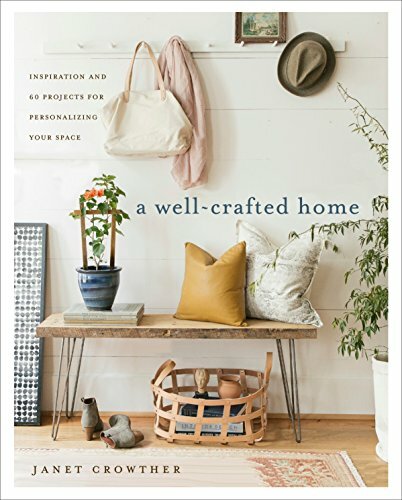 From "the DIY maven" (Architectural Digest), comes a beautiful, practical craft book for both aspiring and seasoned makers. Here are 60 projects for high-quality furniture, textiles, and accessories to enjoy all through the house--plus all the techniques you need for dyeing or sewing fabric, cutting leather, antiquing mirrors, working with wood, and much more. A Well-Crafted Home includes simple, creative details that will tailor a space to your taste. More than just “DIY” crafts, these carefully designed projects call for good materials--like linen, leather, and wood--so the finished product will last you a lifetime. Ranging from beginner to more advanced, each item elevates a room in a way you'd never expect: a large-scale painting with an effortless “dot” design looks like a modern piece of art, flax linen bedding sewn with a few easy seams is gorgeous way to set off the bed (and is more affordable than you would think), and a copper pipe rack for hanging clothes is so pretty, you’ll want to keep it on display. With beautiful photographs of rooms styled with all of the projects, A Well-Crafted Home proves that even the smallest touch of handmade can make a house a home.